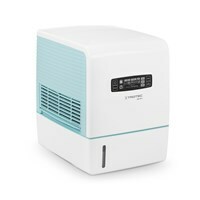 The design humidifier B 24 E provides 8.4 l / 24h evaporation capacity for a good indoor climate. 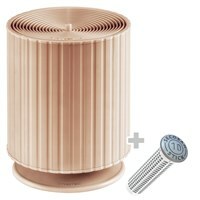 The Design Humidifier B 25 E with a max. 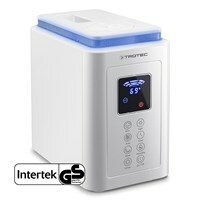 humidification performance of 350 ml per hour. 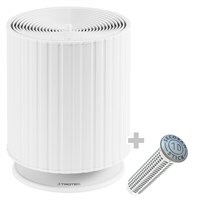 3 in 1- combination device for air cleaning and humidification: Trotec air washer AW 10 S.
2 in 1 - combination device for air cleaning and humidification: Trotec air washer AW 20 S.
2-in-1 combi unit - humidifier and aroma diffuser: the ultrasonic humidifier B 1 E.
2-in-1 combi unit - humidifier and air purifier: the ultrasonic humidifier B 5 E.
3-in-1 combi unit - humidifier, air purifier, aroma diffuser: the ultrasonic humidifier B 6 E.
Dry indoor air? The B 250 monitors and controls the climate and puts you back in control. 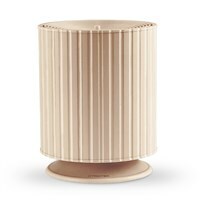 Superior stylish humidifier with equally sophisticated interior components. Low energy consumption, maximum performance - there's no beating the B 400. Cutting edge dehumidification. State-of-the-art technology meets pure performance. For an automatic optimum humidity regulation in office and living spaces, libraries, museums etc. 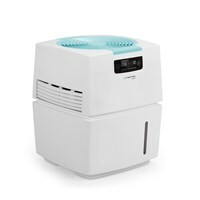 When dry air irritates the mucous membranes, it is done bacteria and germs become an easy target. Even materials suffer from dry air. 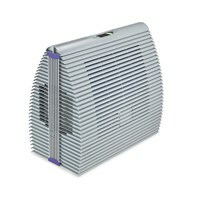 Humidifiers are an effective solution to prevent disease and to protect valuables. 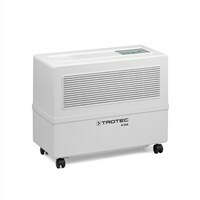 B 400 and B 500 humidifier radio: the Trotec humidifiers are made for large spaces. These products are the perfect solution for open-plan offices, industrial and commercial and for rooms up to 1,050 m³ size. 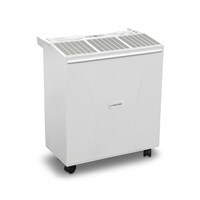 Our discount model B 200 eco is suitable for rooms up to 600 m³ and also for the apartment or the slightly smaller office. 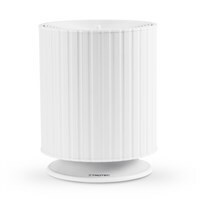 The humidifier for small rooms: in rooms up to 450 m³ the humidifier B 250 provides best services to supply the air with the necessary moisture. 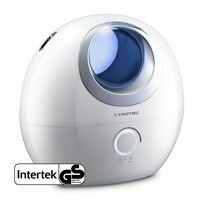 No more small humidifiers that are touted for use in the home, and not begin to deliver what they promise. 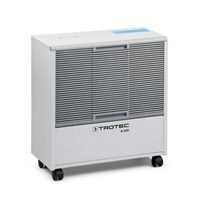 Instead, set in a professional humidifier of the brand Trotec: Powerful, quiet and cheap.